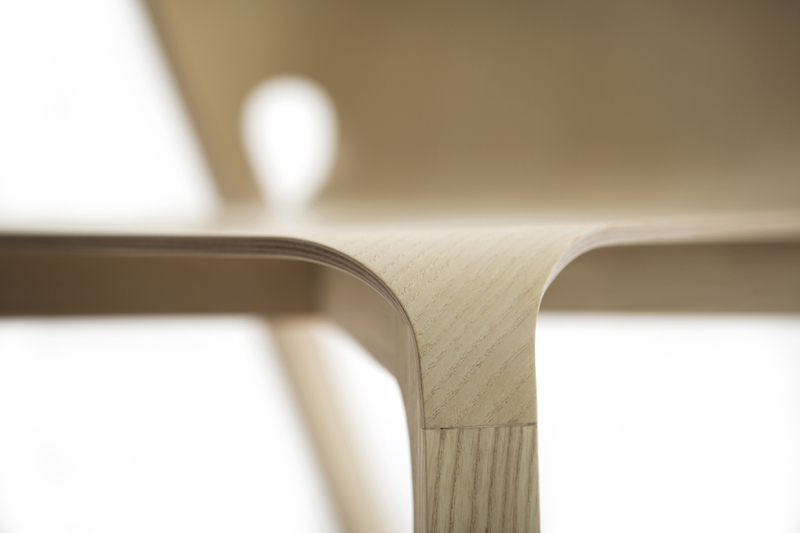 Pelt is a dining chair comprised of plywood and solid ash launching at the London Design Festival in collaboration with Portuguese manufacturer De La Espada. 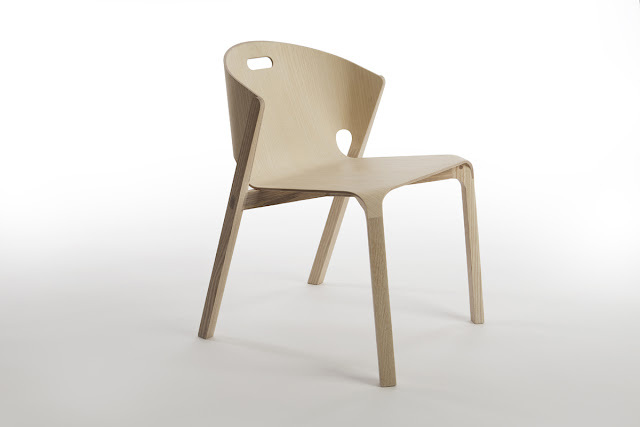 The chair has a thin 8mm plywood shell that wraps around a solid ash frame, akin the skin over an animal’s skeleton. It extends down the front and rear legs with a fluid tab that seamlessly integrates with the solid frame beneath. 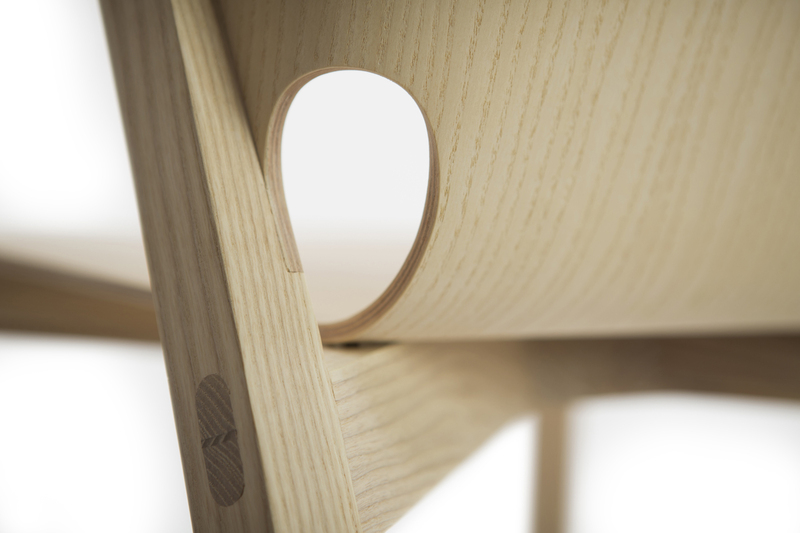 The frame of the chair has been reduced to a simple cross construction linking the front and rear legs. This geometry was made possible by cncing a complex twist to maintain the integration of the start and end points. The chair also offers efficient stacking with its ability to stack 6 chairs. Pelt has been developed over a period of 12 months after several interations of prototyping and testing.